ATLANTA, GA – The Georgia Retail Association (GRA), the state’s premier trade association representing retailers for over 50 years, announces the hire of a new President/CEO to lead the organization. Scott Shalley was chosen to lead GRA, as well as its sister organization the Florida Retail Federation (FRF), after a nationwide search. Shalley replaces current President/CEO Randy Miller who is retiring. Shalley comes to GRA & FRF from the Florida Association of Counties (FAC) where he served as Executive Director since 2015. Prior to that role, he served as Enterprise Director since 2012. As Executive Director, Shalley led an organization of Florida’s 67 member counties and 377 county commissioners, and managed a staff of 28. 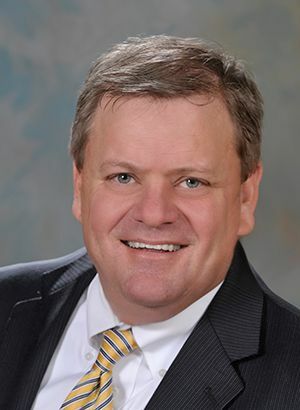 Prior to his time at FAC, Shalley was Executive Director of the Florida Association of the American Institute of Architects (AIA Florida) before joining the Figg Engineering Group as Vice President/Director of Business Management. He was at Figg for seven years, until moving to (FAC) in 2012. ATLANTA, GA – The Georgia Retail Association (GRA), the state’s premier trade association representing retailers for over 50 years, says Georgia families will spend an average of $75 per person to watch Super Bowl LI between the Atlanta Falcons and New England Patriots next weekend. The average cost per person is down slightly from last year’s number with total spending nationally expected to reach $14.1 billion. According to GRA’s partners at the National Retail Federation’s annual Super Bowl Spending Survey conducted by Prosper Insights & Analytics, of the 76 percent of those surveyed who plan to watch the game, 80 percent say they will purchase food and beverages, 11 percent will buy team apparel or accessories, and 8 percent will splurge on new televisions to watch the game at home. According to the survey, the 45 million people hosting a Super Bowl party should expect a full house, with 27 percent of those surveyed planning to attend a party to celebrate the big game. Bars and restaurants can also expect a good turnout with 12.4 million people planning to head out to watch at their favorite local spot. Over 43 percent of viewers say the most important part is the game itself, 24 percent cite the commercials, 15 percent want to hanging out with friends, and 12 percent of say the half-time show is their top highlight. The survey also found that 78 percent of viewers watch the commercials for entertainment and 18 percent say they make them more aware of the advertiser’s brand, but only 10 percent say the commercials influence them to purchase products. Sixteen percent say advertisers should save their money and pass the savings along to the consumers, and 10 percent say the commercials make the game last too long. ATLANTA, GA – The Georgia Retail Association (GRA), the state’s premier trade association representing retailers for over 50 years, is proud to recognize three Georgia business leaders for their contributions to the state’s retail industry and their communities. Ruel Joyner of 24e Furnishings in Savannah, Linda Lombardi of Phillips Furniture in Warner Robbins, and Susan Costa of Hillsdale Furniture were all selected for different Retailer of the Year awards. Lombardi and Costa were selected on behalf of the Georgia home Furnishings Association (GhFA), which is a division of GRA. This is the second year in a row that GRA has presented Retailer of the Year Awards, which recognize outstanding retailers who have demonstrated exceptional commitment and service to their employees, customers and communities. This year’s winners were nominated by their peers and were carefully chosen by a selection committee based upon their outstanding commitment to not only their work and their industry also to their association. Ruel Joyner is the owner and operator of 24e.Design furnishings located in the Historic District in Savannah. The offerings in 24e range from well-known brands to local artistry, and the store is a haven for the repurposed enthusiast. Ruel is a local community advocate who spends a great deal of his time and energy giving back, through his involvement with many downtown associations and small business groups, as well as supporting and donating to local charity events. Ruel Joyner is everything that a retailer should be: committed to his business, his customers and his community. For over three decades, Phillips Furniture has furnished homes and businesses from all over Middle Georgia and currently has three stores in the Warner Robins region. The original store opened in 1983, and Linda has expertly utilized social media to drive traffic and interest to her store in recent years. Linda was also recognized for her commitment to customer service and her desire to personally handle every service issue. Susan is a very diligent and customer service oriented representative at Hillsdale Furniture for over 16 years. Her knowledge of the industry and professional interactions with retailers and sales associates are well known throughout the industry.